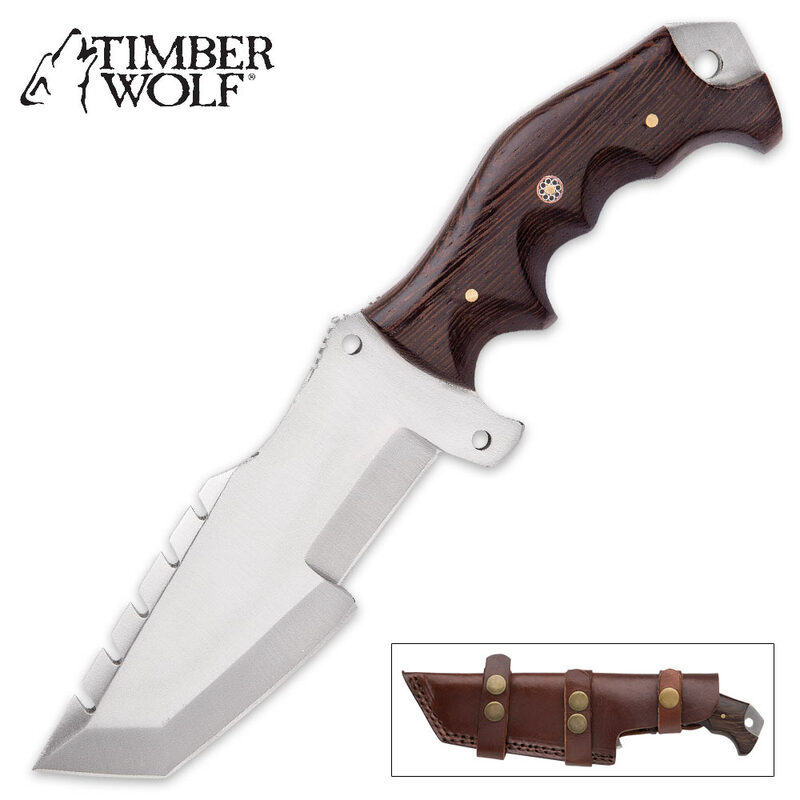 Timber Wolf Big Game Tracker Fixed Blade Knife - D2 Tool Steel Blade, Walnut Wood Handle, Sawback, Length 9 1/2” | BUDK.com - Knives & Swords At The Lowest Prices! When you’re out tracking the big game, you need tools that will get the job done before, during and after the hunt. 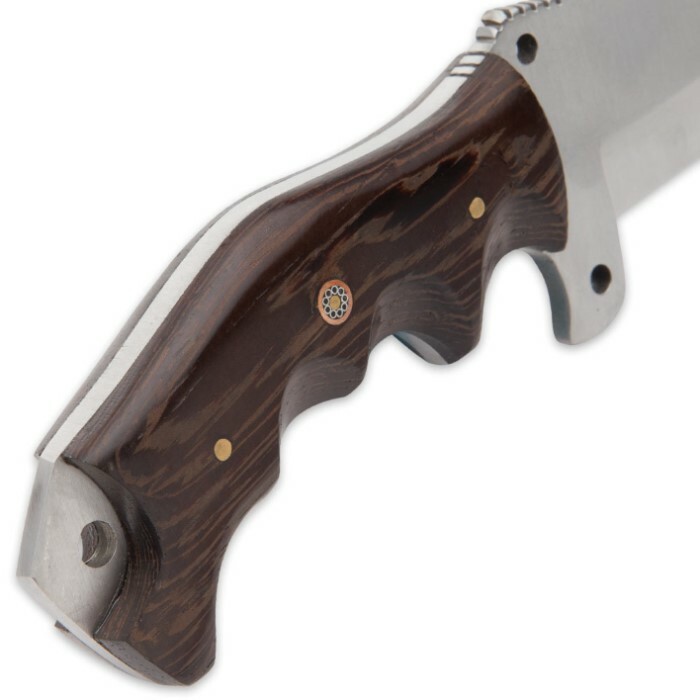 Our Timber Wolf Big Game Tracker Fixed Blade Knife is a workhorse hunting knife built to tackle all of those necessary jobs when you’re out on the hunt. The knife has a full-tang, 5 1/4” D2 tool steel blade with a satin finish and the tang is exposed at the end to feature a lanyard hole. The keenly sharp and beefy hunting blade is thick and features jimping, a sawback, a pronounced finger choil and two lashing holes. The ergonomic, comfortable handle scales are genuine walnut wood and feature rosette accents and brass pins. A brown premium leather belt sheath with brass snap closures and double-stitching houses the exceptional hunting knife.